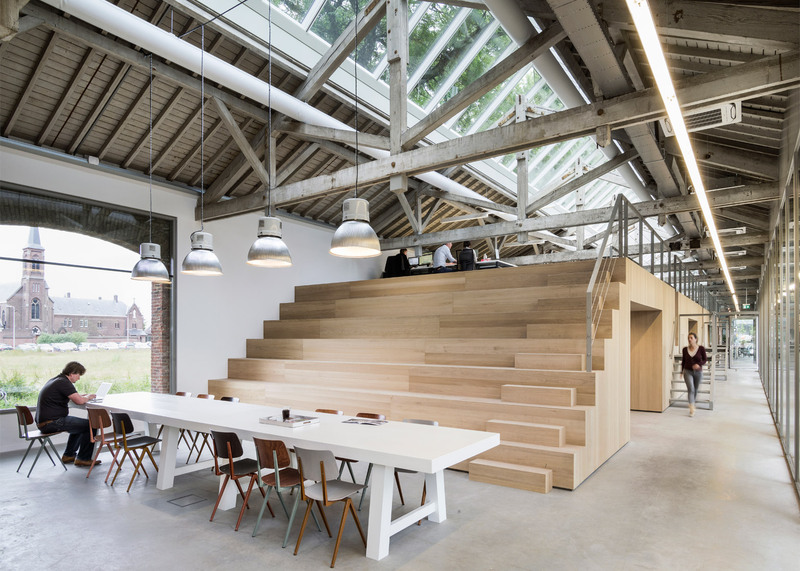 Bleacher-style seats conceal private offices, toilets and storage areas at this advertising agency, designed by Dutch office Bedaux de Brouwer Architecten inside an overhauled railway building in Tilburg (+ slideshow). 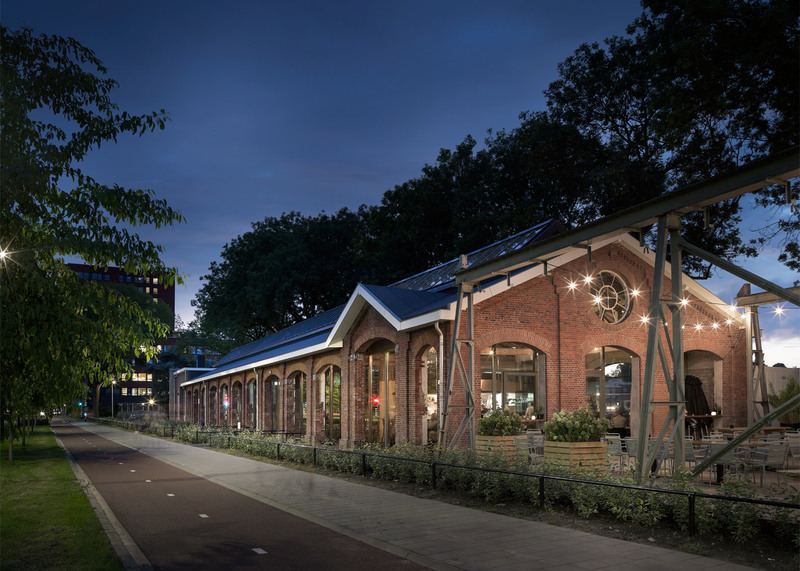 The building was once part of a railroad lumberyard and is the oldest remaining structure in Spoorzone – an area between the inner city and the residential neighbourhoods to the west and south currently undergoing redevelopment. The original structure featured an open arch that allowed the wind to blow through the hangar and dry out the wood stored inside. 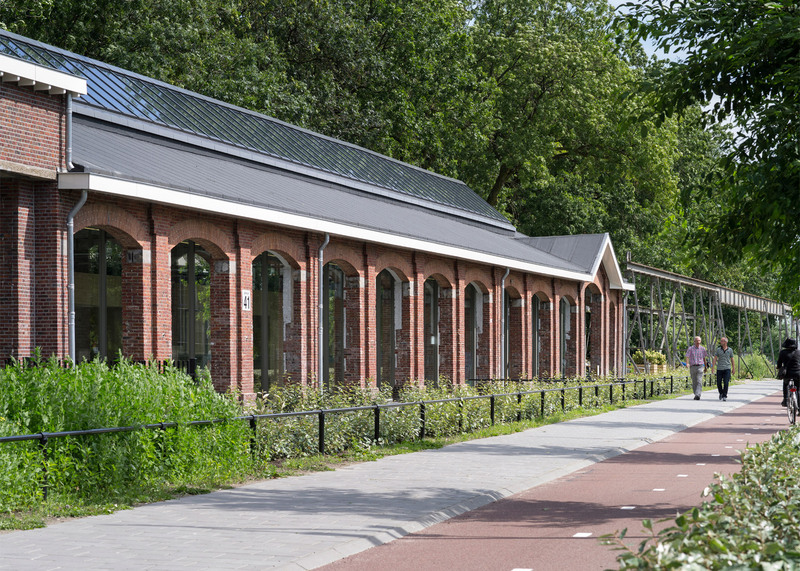 Later, the large arches were bricked up in order to convert the space into a workshop. 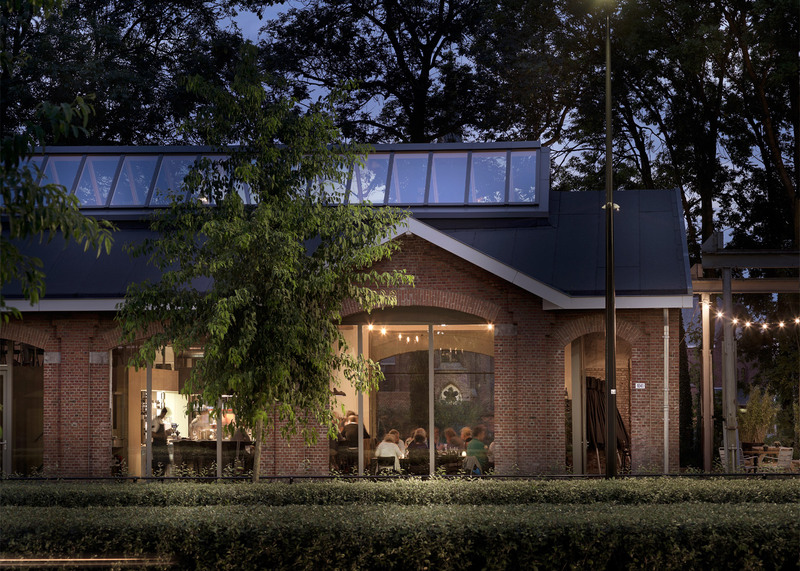 Hoping to create a bright and airy space, Bedaux de Brouwer – whose previous projects include a cylindrical-shaped apartment and a redbrick country house – reopened the archways and added glazing across the centre of the ceiling to create a long skylight. "During our renovation, the infilled arches were reopened to highlight the structure and let natural light in," said the studio. 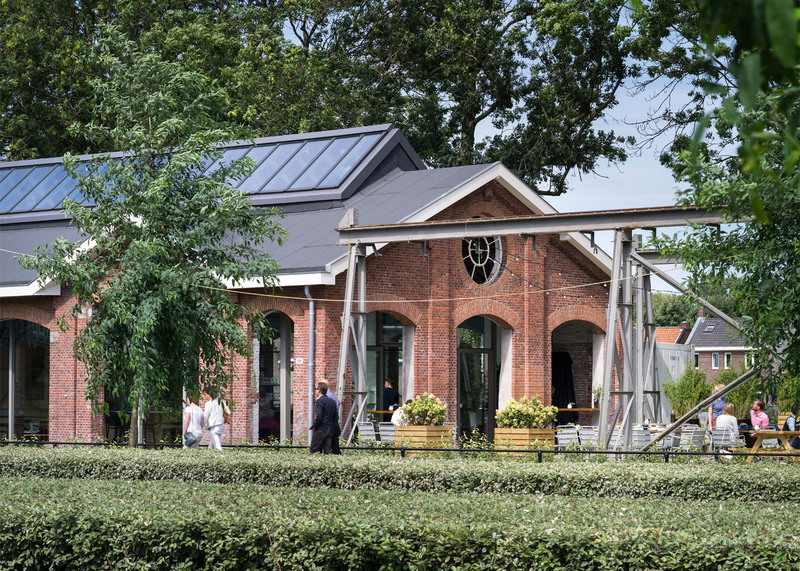 "Behind the arched wall, we placed a glass facade that complements and preserves the newly opened structure." Inside, the architects installed a large oak-clad box with bleacher-style seating at one end. As well as housing offices and bathrooms, the additional volume provides the framework for an informal auditorium. 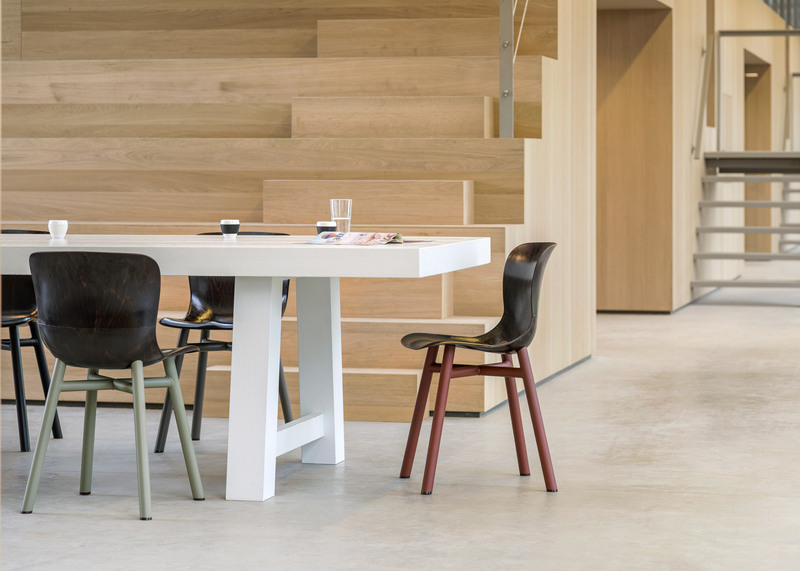 This type of seating – commonly found in sports arenas – has recently become more common in office spaces as group meeting areas. 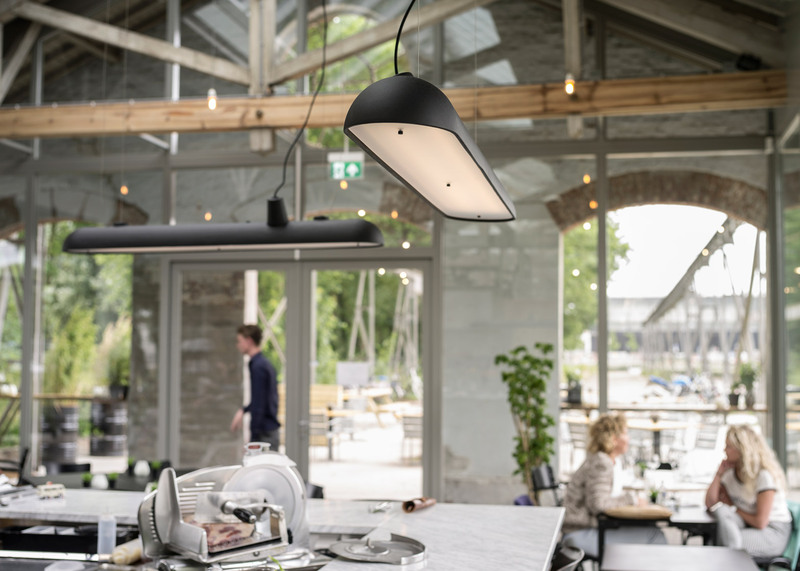 Examples include the Amsterdam offices of smartphone manufacturer Fairphone and the Osaka workspace of Nikken Sekkei's interior design studio. In Tilburg, small alcoves tucked beneath the structure are intended for informal meetings, while metal stairs lead up to personal workstations on the top. 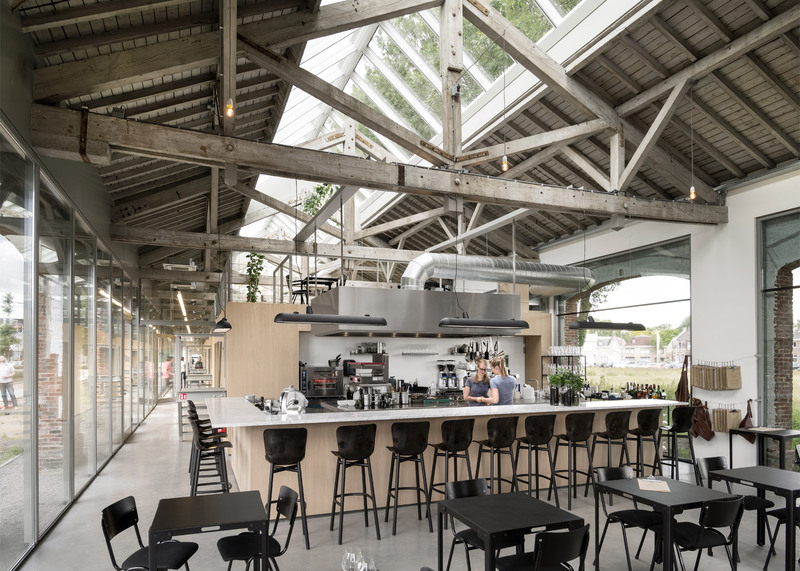 A restaurant named The Houtloods – Dutch for timber yard – is located on the opposite side of the wooden steps and features a long marble bar and black dining tables. It is open to both staff and the public. 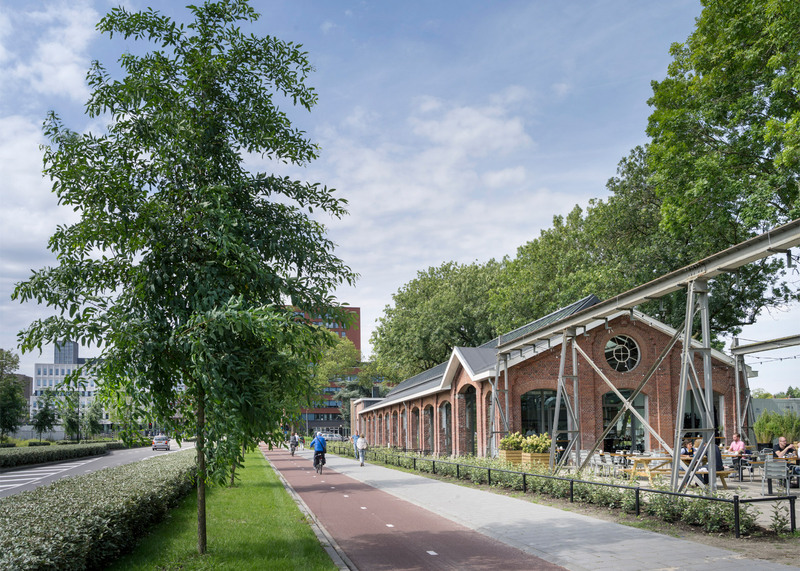 Other examples of repurposed old railway buildings include an abandoned train station in Montreal to create the new headquarters for a software company, whilst Estudio Beldarrain used reclaimed railway sleepers to extend a Spanish library which is located at the town's former railway station. Photography is by Inpetto foto grafisch.